This entry was posted in Cellsize, Featured, Varroa resistance, Virus, VSH and tagged resistance, varroa resistance, virus resistance by Erik. Bookmark the permalink. Dee Lusby talks about how the drone percentage influences the hives. One single trait the bees show seems to hint to a bottleneck. Personally I would like the breeders select for “grooming” because this prevents the mites to spread the virus instead of fighting the symptoms. ( recall the entombing of mite infested larvae by the apis cerana, for example), grooming would have the same effects. I recall Darrell Jones selecting queens from hives which have no mites sitting on bees. It´s hard to do such evaluation though, because if you monitor mites to be damaged, this damage could be done by ants or other circumstances. Measuring the level a few few times a year? Oh yes! If it stays the same, the colony developed some strategies to fight the mites IMHO. Hot brood areas so the bees hatch one day earlier? My personal belief is that´s a trait of a race or the management of keeping bees in a more natural way ( Seeley, David Heaf). It would be nice to have more research on this. Reckon SMR is still hot. But a job for institutes/universities like other single traits. What about the other way round. Look at simple things everybody can observe that are different between susceptible and resistant breeds. You mentioned mite counts already. Still the easiest to select for: Low mite percentage (less virus burden), slow varroa population growth or even decline, no dwv despite high mite counts….screening rather whole resistance than single traits. Mite fall could lead wrong if high mite infestation at an apiary meets vsh and grooming expression in some hives. ref=fb-share) summarized reflects varroa more precise. A good summary Steffen. I agree, but if there are those that want to work another way I can’t stop them. And I hope they will come up with something good that we all can benefit from. For example Bert Thrybom in Sweden who has imported VSH breeding material from John Harbo in Louisiana. Bert has now stopped treating his VSH bees and he has to keep non-resistant bees away from his hives and not treat them. 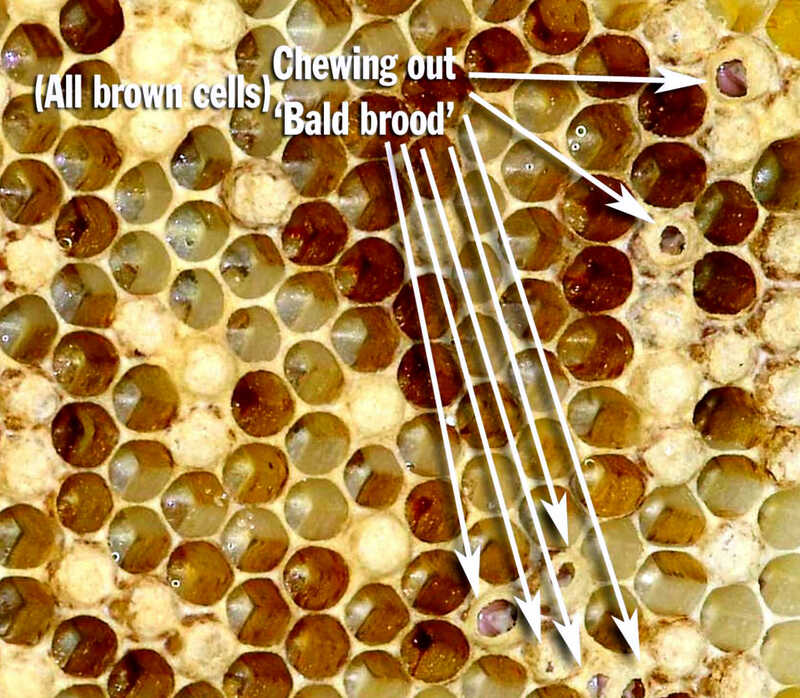 Then keep them alive with the help of brood combs from treated non-resistant hives. To be able to put capped brood frames into his VSH-colonies and check opened cells and fallem mites after one day. But I find this more work than neccessary. If kept away from reinvasion sources my bees now need no treatment. Next step is to develop the strain still further so it can stand and/or doesn’t get reinvaded ver much.